On March 12, 2019 Representative Karen Bass (D-Calif.) reintroduced two pieces of legislation to help Physician Assistants (PAs) and aspiring Physician Assistants across the country. The two bills will make sure that people who want to become Physician Assistants have the ability to successfully do so. At a crucial level between doctors and nurses – both of which have specific traditional education requirements – the newer station of physician assistant is vital to keeping quality health care available to the greatest number of people. 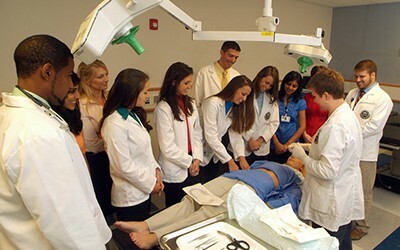 The “Physician Assistant Education Public Health Initiatives Act of 2019” would authorize a demonstration to expand access to federally qualified health centers and other underserved settings for PA clinical training and reauthorize the Primary Care Training and Enhancement grant program to direct more PA graduates to primary care practice. It will also fund research into PA education to ensure students are best equipped to provide high-quality care to patients. You can read the bill here. The “Physician Assistant Higher Education Modernization Act of 2019” will work to ensure qualified individuals receive the education they need to complete their studies to become a PA. The legislation will improve federal borrowing terms for PA students by adjusting the annual unsubsidized Direct loan limit for PA students, develop a program to expand PA education programs for institutions that serve rural areas, make Historically Black Colleges and Universities eligible to receive additional grants for PA education programs, and provide funding to colleges and universities to improve the faculty and modernize technology at institutions that are educating and training PAs.